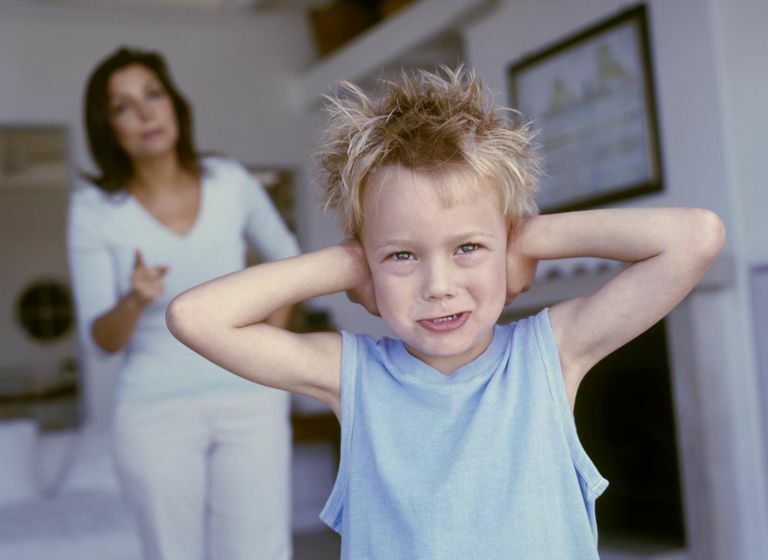 There are some discipline strategies that can actually make a child’s behavior problems worse. Although they are usually applied with the best of intentions, these discipline techniques can certainly backfire. There probably isn’t a parent on the planet who hasn’t raised her voice to a child at least once in her life. However, chronically yelling at kids isn’t helpful. It causes kids to tune parents out, which means they’re less likely to follow directions. Kids become desensitized to yelling pretty quickly. If you yell at them regularly, it loses its desired effect and can cause kids to become even immune to it. As a result, they won’t hear the message you’re trying to send and are more likely to repeat the behavior. Nagging teaches kids they don’t have to behave responsibly. When kids know they don’t need to remember what they have to do today because a parent is going to nag them repeatedly, they don’t put any effort into behaving more responsibly. Nagging can also lead to kids giving you the “I know!” answer. It encourages kids to argue or promise to do it later, instead of taking action now. Replace nagging with an if…then statement and you’ll likely get much better results. If you give kids repeated threats without following through, they’ll quickly learn that you aren’t serious the first few times you say something. After all, why would a child listen if he knows you won’t really take away that trip to Grandma’s house this weekend? You also shouldn't threaten to "call the police" on your child. Saying things like, "Do you want a police officer to come to straighten you out?" won't inspire your child to behave. Only threaten to take away privileges or give a negative consequence, when you’re prepared to follow through. Consistent discipline is necessary if you want a child’s behavior to change. I never heard of a child seeing the error of his ways after a long-winded lecture. In fact, long lectures cause kids to tune parents out. Instead of listening to your message, your child is more likely to be thinking about how much he dislikes listening to you talk when you give him a long lecture. Keep your explanations about your concerns brief. Explain the reason you want the behavior to change and state your expectation for the future. Instead of repeatedly telling your child that he made a poor choice, use the opportunity to teach problem-solving skills by asking your child what he could do differently next time. Shaming your child by giving him a punishment that is meant to embarrass him isn’t likely to be helpful. Although many desperate parents try anything when they’re kids are out of control, shaming can make things worse. Punishments that shame includes things like forcing a child to stand outside wearing a sign that says, “I steal and I think it’s funny.” Subjecting a child to humiliation can fuel a child’s anger and make behaviors worse. If you’re not sure what to do about your child’s behavior problems, seek professional help instead of trying to shame him into submission. Giving a child a consequence that is completely unrelated to the misbehavior can be confusing. If a child hits his brother and his parents make him write 100 times, “I will not hit my brother,” it doesn’t teach how to resolve conflict peacefully. Instead, it’s likely to make him hate writing. The best way to teach children is with logical consequences. Logical consequences help kids remember why they are receiving a consequence and it deters the child from repeating the misbehavior in the future. Many parents have threatened an exaggerated consequence out of anger, such as, “You’re grounded for a year!” However, actually grounding a child for a year isn’t likely to be an effective consequence. If your child loses all of his privileges or loses a privilege for too long, he’ll lose motivation to behave. Sometimes kids just give up when they feel they’ve lost everything anyway. I’ve seen parents take everything out of a child’s room except for the bed. However, it almost always backfires because kids figure out parents can’t really take anything else away and it makes it nearly impossible to give out any new consequences. Negative consequences should be time sensitive. Children should be aware of what they can do to regain any privileges that they have lost indefinitely. Although there is a lot of controversy surrounding spanking, hitting a child certainly models aggression. If you spank your child because he hit his brother, you’re giving your child a mixed message. Kids will learn that hitting is acceptable when you spank them. Children who were spanked in the last month are more likely to behave aggressively, according to a 2010 study published in Pediatrics. The American Academy of Pediatrics discourages any use of corporal punishment; however, the study acknowledges that most parents continue to spank their children.